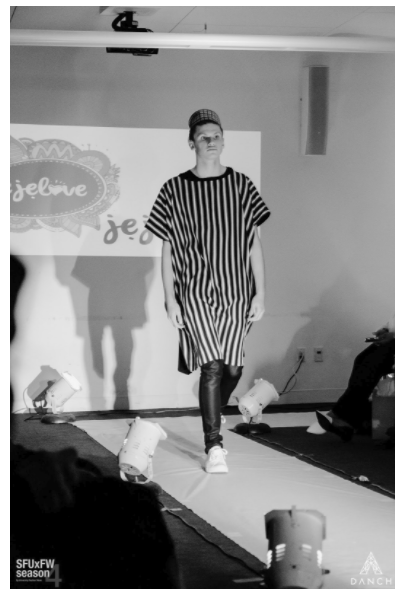 When University Fashion Week was approached to curate emerging designers that could represent Harambecouver’s 2017 Multicultural Parade; it was a no-brainer that popular brands like Dr. Pearlz clothing would make the selection. Dr. Pearlz Clothing, a Nigerian and African infused fashion line took centre stage at Season 4 of SFUXFW. Using heritage techniques and inspiration, the designs are infused with Canadian trends to give a hint of familiarity. Dr. Pearlz Clothing is traditional and modern and custom made in the Vancouver area. While Caveman Clothing might not have been showcased at this season’s Fashion Week, their persistence in putting themselves out there got the attention of UFW curators. With Zimbabwean origins and multicultural ambitions that within themselves represent true Ubuntu spirit, their clothes share a contemporary motif that adds a hint of culture to their western-centric apparel. Made in the Vancouver area, the designs see this presentation as a great step in communicating the intention within their design.